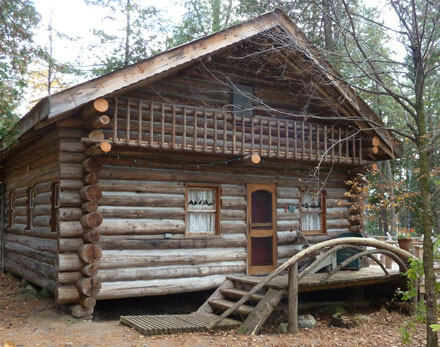 On the shore of Mink Lake, in a private wooded setting, this authentic log cabin is perfect for a romantic getaway or a family adventure vacation. Equipped for modern comfort, its handcrafted appointments lend a rustic charm. Make our secluded lakeside housekeeping cottage your base for exploring historic Eastern Ontario. Stuart Log Cottage is a stone's throw from the Town of Eganville, which was founded in the early 1840's as a grist mill community.